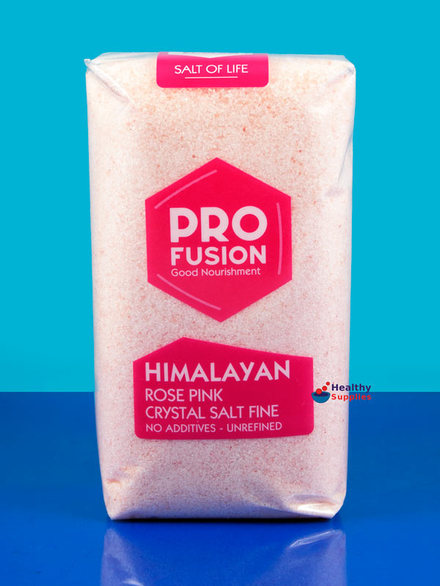 Profusion Himalayan Rose Pink Salt - fine 500g - HealthySupplies.co.uk. Buy Online. 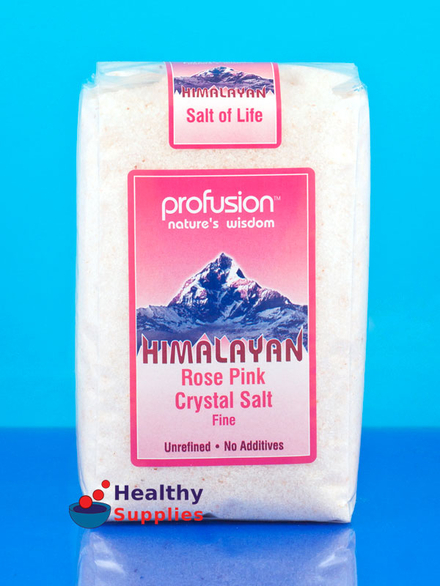 Fine pink rock salt by Profusion. Photo above depicts old packaging. Harvested from the Himalayan foothills. Use to season food or as bath salts. Contains minerals such as: iron, potassium and magnesium. 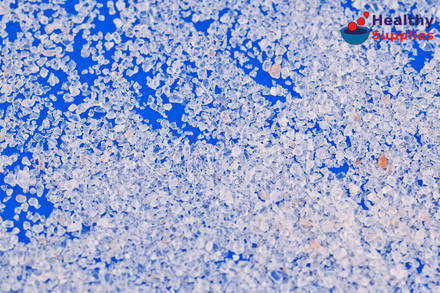 This finely granulated salt is ready for use. This pink salt formed over 250 million years ago from unpolluted ancient seas. This salt is unrefined and contains no additives. The pink colour is down to the iron and other minerals within the salt. This salt can be used in the same way as usual sea salt.